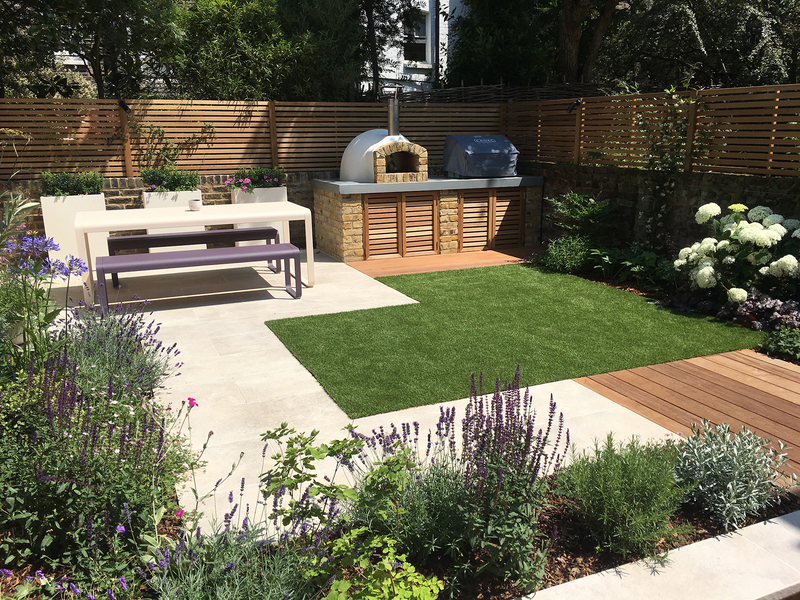 Ipe hardwood decking connects the house to a generous space for entertaining with food preparation and seating areas. 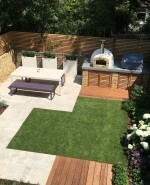 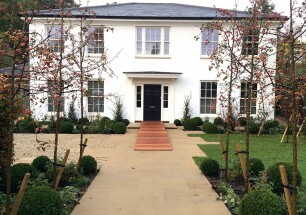 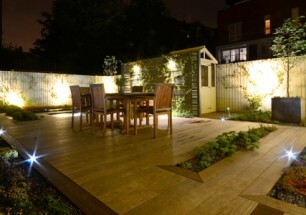 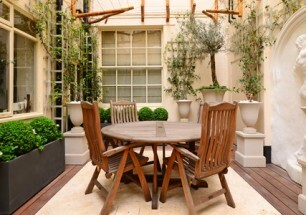 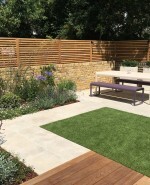 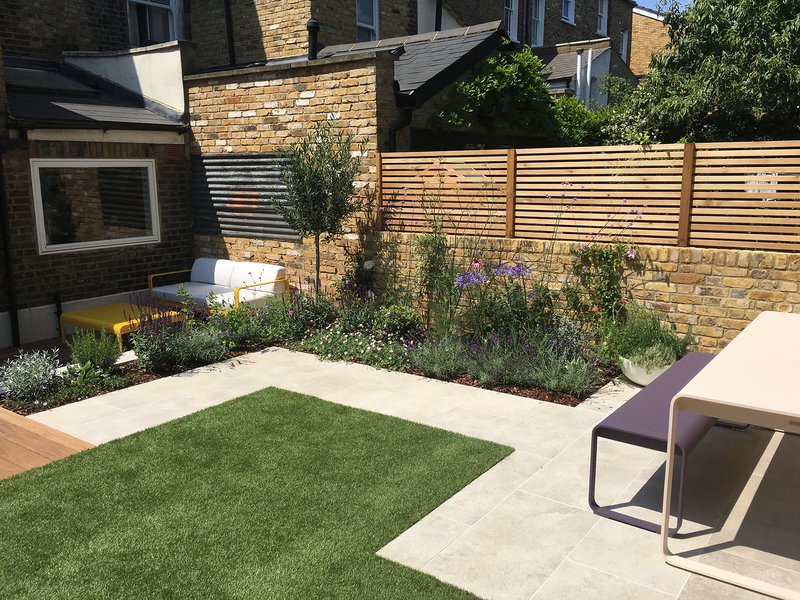 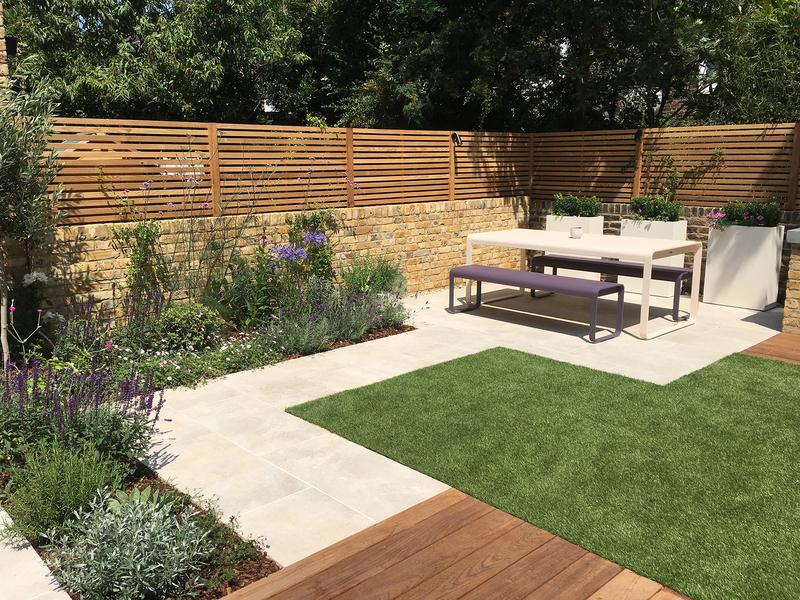 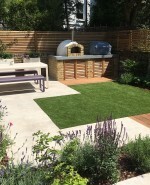 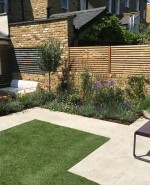 Porcelain paving defines the garden layout, with an abundant planting scheme to soften the geometry. 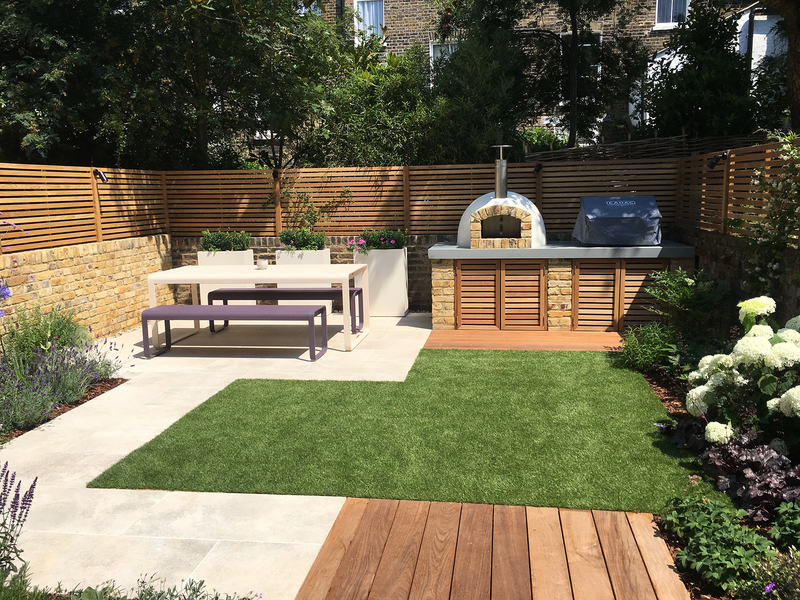 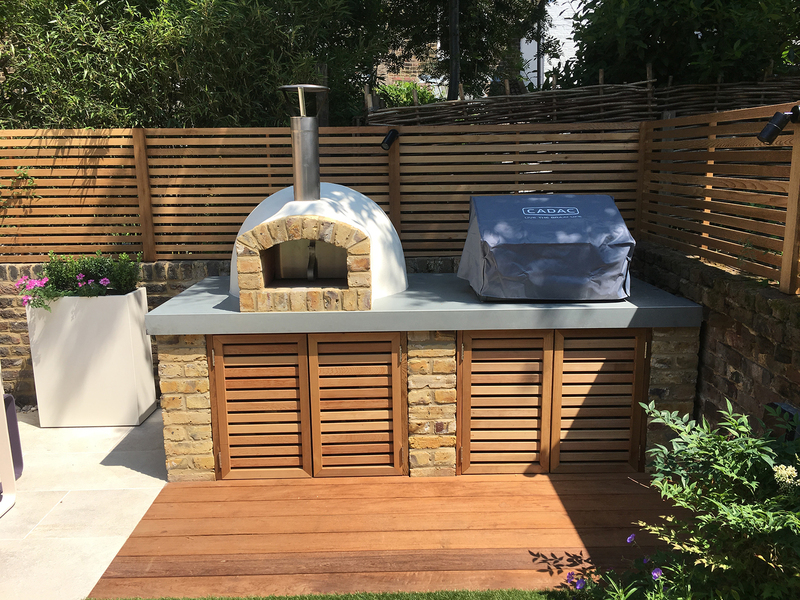 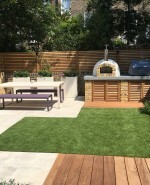 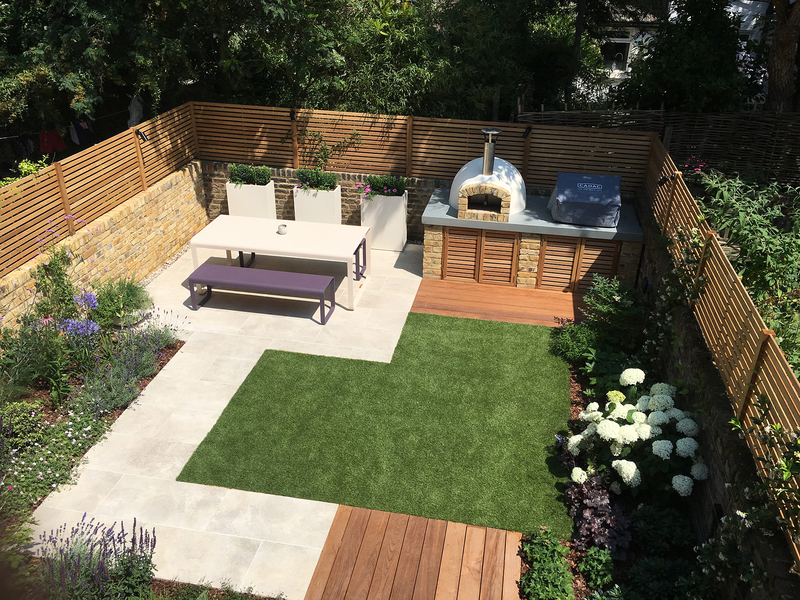 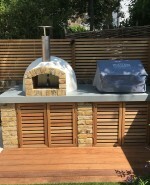 Cedar trellises and reclaimed brickwork provide privacy and textural layering and seamlessly continue around the barbecue and pizza oven centrepiece.